Screen-printing is one of the most common methods of t-shirt printing today and is loved by printing businesses for its clarity and cost-effectiveness. T-shirt Screen Printing has been around for a long time. However, the prints and design keep changing as per the trend. 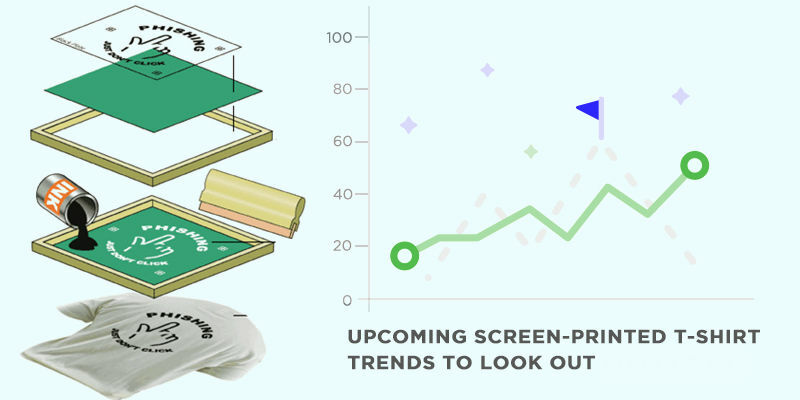 Today, we will discuss the t-shirt screen printing trends that we can expect in 2018 and 2019. Superheroes: Marvel and DC have made comics superhero a reality. They have now become a part of many kids lives. We can already see the growing demand for superhero action figures and t-shirts. Therefore we think this is going to reach a new height. In future, we are likely to see more of superhero t-shirts, backpacks, action figures, kids items and more. Superhero trend had hit a record high when the Spiderman movie by Sam Raimi came out. And, now Marvels and DC have nearly released around 20 odd movies based on a real superhero, so the T-shirt Screen Printing Trends based on superheroes are going to rise. Space: Space may be dangerous for real, but it’s fun too. We can’t help but notice that Hollywood releases at least one movie every year based on space, no wonder it’s of high importance among nerds and geeks. Space themed t shirts are going to be the new favorite and we believe it will soon be in fashion. Space is all about the unknown, exploration, discovery and infinite possibilities. We will be happy to see it in runways too. Black and White Prints: Black and white prints have always been and will be on trend. Two classic colors fused into one to bring out interesting effects on t-shirts. The black and white contrast creates a spacious appeal. Such contrast also creates the most head-turner effects. Letters in white spacing or bold black colors are both effective when creating contrasting effects. This may not be a new trend, but we are going to see more of it in 2018 and 2019. What’s more, creating a black and white print is fast and cost-effective. 80’s and 90’s Prints: Not everybody likes vintage t-shirts, but those who do, they love it. It’s great to have a t-shirt that looks 20 years old both in appearance and print. Faded tees are in big demand nowadays and in the coming years, we will only get to see more of it. Go for softer shades which will make your tees look more genuinely vintage. This is a great opportunity for discharge inks in screen printed t-shirt to get a worn-out look. The Wild Side Prints: For the coming of age generation, these t-shirt prints are on trend. It is especially important for the ones trying to get back to the basics of life. People are realizing that it is important to unplug from their own “daily affairs” and spend time with nature. These prints could be of outdoors adventures, favorite quotes, camping, hiking etc. you get the idea! The prints would, in turn, help people head outdoors and have a scintillating experience of nature. Geometric and Solid Color prints: For the ones with a progressive bent of mind, this is the perfect t-shirt design and a haven for the minimalists. The t-shirts are usually kept in one or two colors with a simplistic design. No wonder we see more of these design in the runways by famous designers. We believe this is soon going to hit the mainstream. Abstract painting prints: T-shirt Screen Printing with paintings have been around for quite some time, but now it’s time for some abstract paintings. We believe it is also the time for some renaissance art on t-shirts too. Patterned accents attract more attention to the t-shirts elements that are usually ignored. For examples abstract prints on the sleeves, pockets, neckline, hems etc. Bold Letter Prints: This is yet another simplistic design t-shirt which is going to be in chic in coming days. Typographical prints with quotes and slogans symbolized rebellion and a strong attitude. We think these street style contemporary design will also hit the runways. The best part is these prints use up less ink and is less labor intensive, plus it brings out the character of the wearer. LED Tshirts: Ok this is not really a T-shirt Screen Printing but we had to include it in the list for its growing popularity. This is soon going to be the favorite of today’s needs. These illuminating led change patterns in real-time which makes it a true head turner. It can revolutionize t-shirts in many ways and we are expecting to see it in runways and what our led t-shirt designers can do with it. We believe these 10 T-shirt Screen Printing Trends are going to soar to new heights. What are your predictions and likes, let us know in comments.